Heavenly Feet Mid Boots E Fit is rated 4.6 out of 5 by 265. 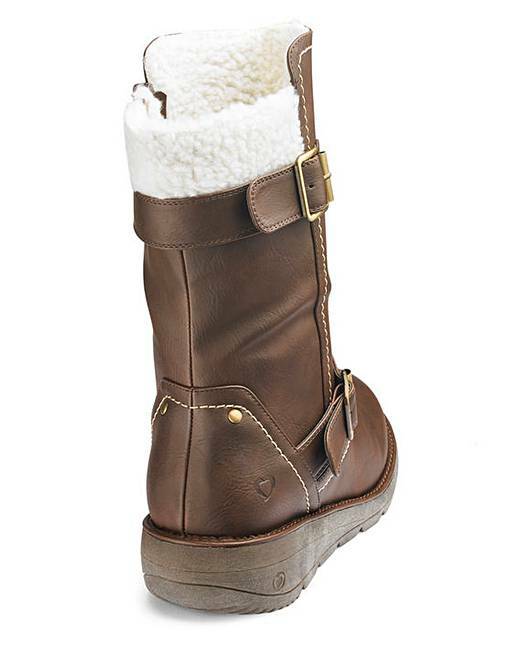 These stylish mid boots from Heavenly Feet have soft uppers and warm trim detail. 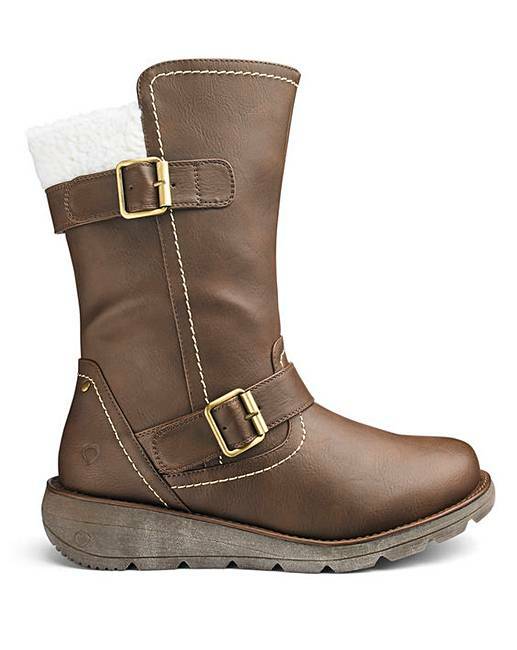 With adjustable buckle straps, casual sole unit and inside zip. Memory foam insock for underfoot comfort helps relieve pressure points and soothes tired feet. 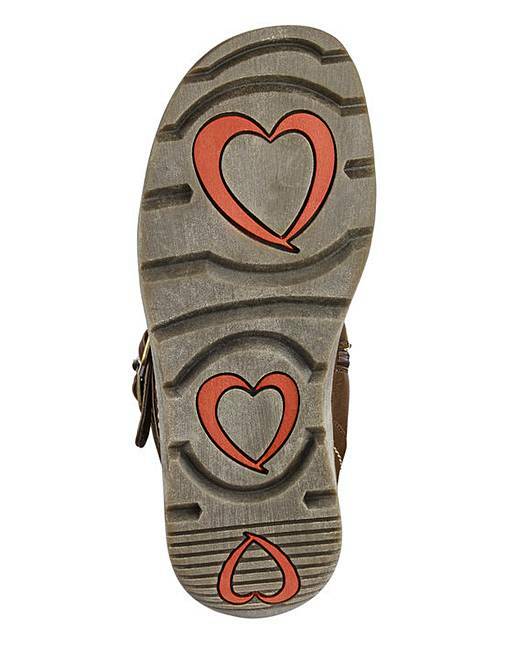 They shape to your feet for greater comfort and recover shape after each wear. Heel 1½in./38mm. Leg height 8in./200mm. Upper: Other materials. Linings: Textile. Sock: Textile. Sole: Other materials. 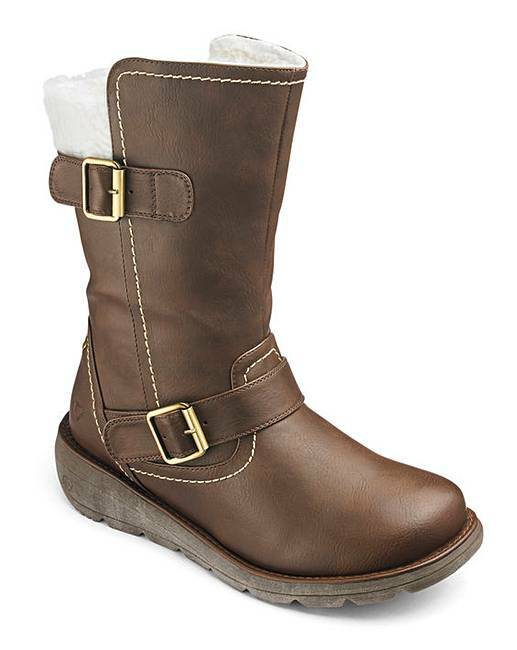 Rated 5 out of 5 by Shaz from The comfiest boots ever owned Was looking for day to day comfy boots but when I received these they are better in the flesh but they are so comfy, you can wear them with skinny jeans or leggings. Rated 2 out of 5 by hope later from Only a few months wear I bought these winter 2018, wore them Jan-March. I dug them out again a fortnight ago and the sole of the right boot is now almost worn through. I have a wet sock & foot when I take them off. They look rough and tough, but they're not really fit for purpose. The soles should be far more robust. I've only had a few months' wear out of these boots, I would have expected a lot more. I'd like my money back but I can't be bothered with the hassle. Rated 5 out of 5 by Emma93 from Really comfy I bought these boots for when I'm out walking with the dogs, I order the 4 which was a tight fit But the overall comfort and design was great! Rated 5 out of 5 by Coxy from I love these boots These boots are just so comfortable to wear and look amazing. Im going to have to get them in every colour.